Crime prevention reminder following thefts from vehicles in Basingstoke. Twenty eight reports of thefts from vehicles have been made to Basingstoke’s Neighbourhood Policing Teams since Saturday 21 July. All of the reports relate to a variety of vehicles, mainly targeted at night, some have had windows broken but others have been left unlocked with property on display. 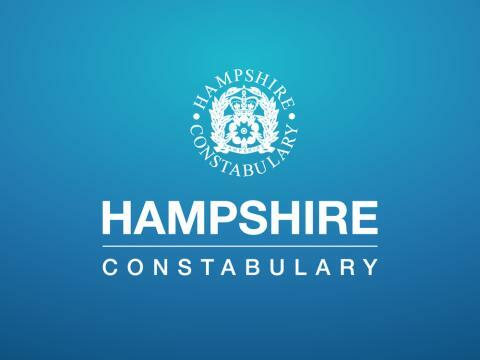 Vehicles have been targeted in the Popley, Norden, and Rooksdown areas of Basingstoke. Four men and two women have been arrested over the past week as part of our enquiries. Four have been released from custody without charge, but remain under investigation, and two are currently in police custody. Operation Five is our response to the thefts from vehicles in the Popley, Norden, and Rooksdown areas of Basingstoke. Officers will be carrying out regular patrols and other activbities as part of the operation. If you see anything suspicious that could help our enquiries please call 101 quoting 44180277972. Don't leave anything in your car - if it's not there, then it can't be stolen. Choose a stereo that can be removed and make sure you take it with you! You should also mark it with your registration number or postcode, in case it's stolen. Thieves aren't picky, so don't leave even low-value items in your car. Often thieves will smash and grab first and look later to see if what they've stolen is valuable. Don't hide it - if you hide items under the seat or in the glove box, chances are someone will have watched you. If you cannot avoid leaving something in your car, put it in your boot before you begin your journey. Don't leave valuables in your car even for a minute - it only takes a thief a few seconds to smash a window and get what they want, so don't take the chance. Your car isn't safe to be left unlocked on your driveway - nearly half of all incidents where items are stolen from cars happen when they are parked overnight, close to the owner's home. Don't leave your house keys or anything with your address on it in your vehicle - someone could steal your keys and then let themselves into your home. If it's portable, take the sat nav with you together with the support cradle and suction pads. Don't leave your equipment in the glove compartment - thieves usually check here first. If you are stationary in traffic, keep your doors locked and don't wind your windows too far down - someone could reach in and try to grab something off your passenger seat. Use a steering wheel lock every time you leave your car - it makes life more difficult for the thief and therefore your car a less tempting target. Get a car alarm - they not only deter a thief from stealing the car, but also from stealing items from inside it. Have it fitted by a professional.